Can you get a DUI from prescription medication? Yes. For sure. You can even get convicted of Driving Under the Influence in Pennsylvania for Schedule IV narcotic such as Ambien. The fact that you have a valid prescription is not a defense. You can not use involuntary intoxication as a defense in your DUI case for prescription medication. If you have the amber colored pill bottle, you will clearly see that the label says do not drive and do not operate heavy equipment. If you taking any prescription medication like Xanax or Percocet, do not drive while taking the meds. People often do not think of Schedule IV narcotics and a narcotic because they do not get a “high” from the medication. However, in DUI cases, the analysis is whether you are capable of operating a motor vehicle safely, not whether you feel high or drunk. Xanax and Percocet are Schedule I & II narcotics, so the analysis is much clearer. Its the Schedule IV narcotics that most people are shocked when they learn about the ramifications of a DUI and the ability for an arrest based on Schedule IV intoxication. 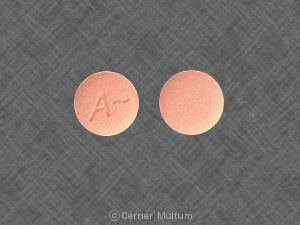 If you take Ambien on a regular basis, you should make sure that you eat a whole dinner and a whole breakfast everyday. Also, if you are a very light weight person, you should consider not driving while on Ambien. Further, if you feel the slightest bit light headed, don’t drive. Also, if you feel light headed while driving, pull over the car and turn the car off and get out of the driver’s seat.